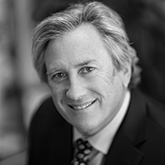 President & Founder | Corporate Strategies, Inc.
Martin Levy, CLU/RHU is founder and president of CorpStrat, located in Woodland Hills, California. The firm’s proprietary process, The 21st Century HR SolutionTM, helps business owners deliver efficient Employee Benefits, HR automation, Payroll and Compliance strategies. The firm also helps professionals create and protect wealth through financial products and strategies. Marty Is a Lifetime Member of the Million Dollar Round Table, an elite group representing the top 1% of all insurance professionals in the USA. CorpStrat is one of the largest insurance brokers in the Greater Los Angeles area, serving hundreds of companies.